As children, we learn math and English in school, and how to tidy up at home. But we were never taught decluttering, which is a very practical skill that can benefit our lives significantly. When we face a problem, we are always taught that having more is the answer. We forget that making do with less can help clear our lives of junk, dust and distractions. Decluttering is a skill that nobody taught us… until Marie Kondo appeared on TV. Her 5-step method is easy enough for anybody to follow. 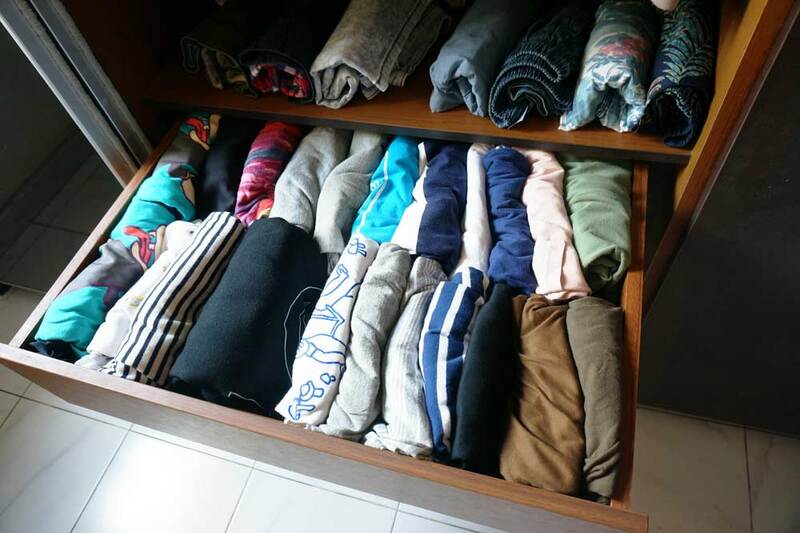 I was shocked at how quickly I picked up the Konmari folding method and spent my entire weekend practising it. It was so rewarding. Mum and dad taught us to tie our laces, but did not show us how to make clothes stand at attention, so you can pick them out without messing up the stack. Tidying is the act of confronting yourself; cleaning is the act of confronting nature. You’ve probably heard people use ‘spark joy’ jokingly. However, the concept is so simple, we almost miss the wisdom buried within. Why do we hold on to things that don’t make us happy? For most people, it’s shoes they’ve stopped wearing, but this can apply to almost anything—religious beliefs, relationships, excessive commitments, etc. Letting go is hard, and one must be armed with new paradigms and practices to do it well. To declutter our homes, we must first declutter our minds, and that means tossing out beliefs that hold us back. Every time I try to empty out my room, I end up shoving stuff back into the cupboard. “It’s not that messy,” I tell myself. Throwing things away is scary! Especially Stefanie Sun CDs, rare comic books, Saint Laurent shoes, and even the Holy Bible. Destroying anything of value goes beyond any frame of reference we have. It almost sounds like a sin. Feelings of guilt, fear, and even anger accompany throwing things away. However, in holding on to too many objects, we lose valuable intangibles like space and time. All objects require care and attention. Jewellery becomes tarnished, soft toys collect dust and expensive leather bags turn irreversibly mouldy. We feel like we lose value (monetary or otherwise) if we throw or give them away, but the truth is, I hardly miss anything I gave away. In fact, a room with empty shelves and a clean tabletop made me feel a lot calmer. Mostly, I bought junk because life felt stale. Retailers understand our need for novelty and trap us with glitzy promotions. “Limited time only, 50% off when you buy a second pair”—you already know their rhetoric, but you still fall for it. Two months later, it sinks to the base of our cabinets, only to be excavated after watching Marie Kondo. We look at it with a mix of regret, nostalgia and resolve—I need to throw this out because it doesn’t spark joy. Things come into our lives for a season, and when the time comes, we need to let it go. Your sunk cost won’t return because you keep it in your drawer. Tibetan monks spend days creating intricate artworks made of coloured sand, called mandalas. The finishing touch is to brush it away, destroying it forever. Compare this to the Mona Lisa, which hides behind bulletproof glass in the Louvre. She is so mired behind muck, nobody can behold her beauty anymore, but is too precious to be restored. One accepts that life is temporal and beautiful things end, the other tries to preserve it for eternity. When we try to preserve beauty, we ruin it. Tourists flock to Japan yearly to see sakura blooming; the beauty of sakura is in its fleetingness. When we remind ourselves that all things are temporary, we can let go of that which holds us back. Knowing this helped me to give away precious trinkets and basically anything that looks too pretty to throw. When we think of the National Day Parade, we have warm memories of singing national songs along with our family and watching the sky ignite with fireworks. However, the few NDP funpacks I have ended up collecting dust and grease, and are too garish for daily use. Intrinsically, we like to collect things, thinking they hold sentimental value. But they just become useless emblems that rot in our storerooms. Can we relish our experiences without the need for souvenirs instead? After all, it’s the memories we make that add to our character, not the things we own. Steve Jobs only wore his iconic turtleneck and jeans daily. By reducing choices, like picking out clothes, he preserved his creativity for more constructive uses. Apple products are designed around Jobs’ philosophy of reducing, instead of adding. They are highly coveted for their simplicity and functionality, but don’t come with instruction manuals. This challenges Apple’s designers to design intuitive, fuss-free products. 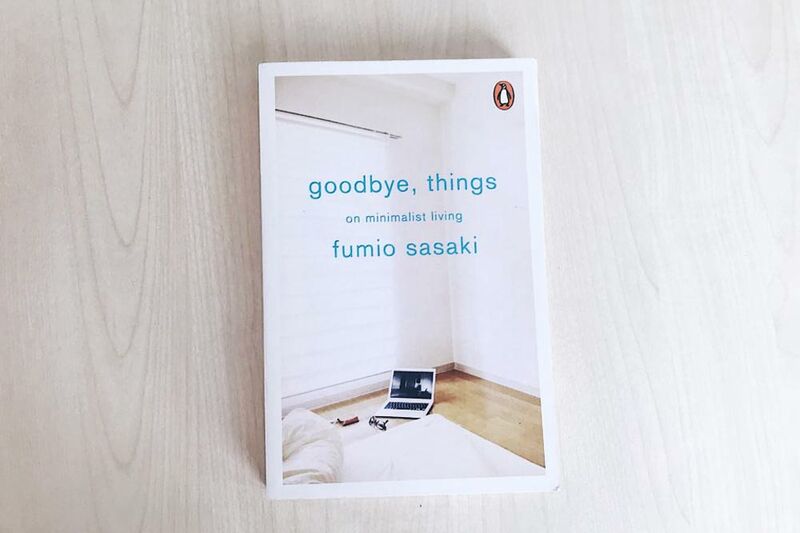 Minimalism is not only a good process; it is extremely profitable. Similarly, Lee Kuan Yew practised minimalism by using a burgundy briefcase daily. He could have afforded the higher SES Givenchy or Prada, but stuck to his humble government-issued briefcase for decades. Minimalism helps us shed our need for external validation so name brands no longer matter, only functionality. We give up distractions like comparing what we have to others, allowing ourselves to clearly know our focus. 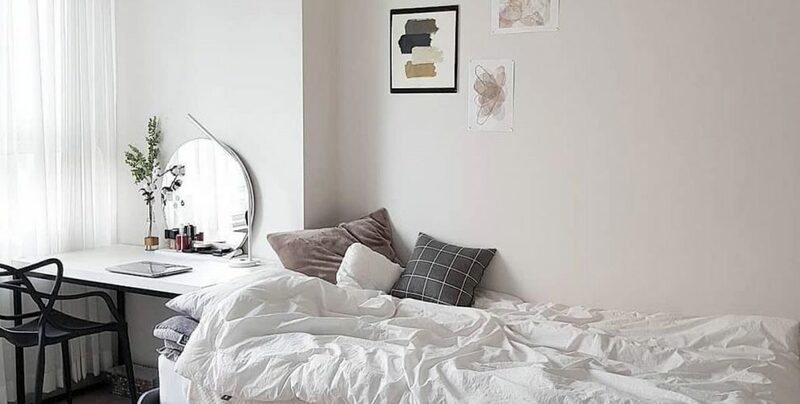 Since practising minimalism, I realised I sleep better and feel more positive. Through the years, I have heard advice to “Let go of your ego, so things won’t bother you as much”. But I never knew how to put it into practice. When I physically throw my things away, it almost reassures my mind that letting go is okay. Every day, I bring at least one object to the recycle bin. When I release it, I can feel my chest getting lighter. We live in clutter, unknowing of its psychological burden. Packing my things gives me a sense of control—I no longer feel like a victim of my past, but can ascribe new meaning to my life. Minimalist living reminds me that all I have is the present moment, so I don’t worry about the future. Maybe all we need is a generous dose of less.